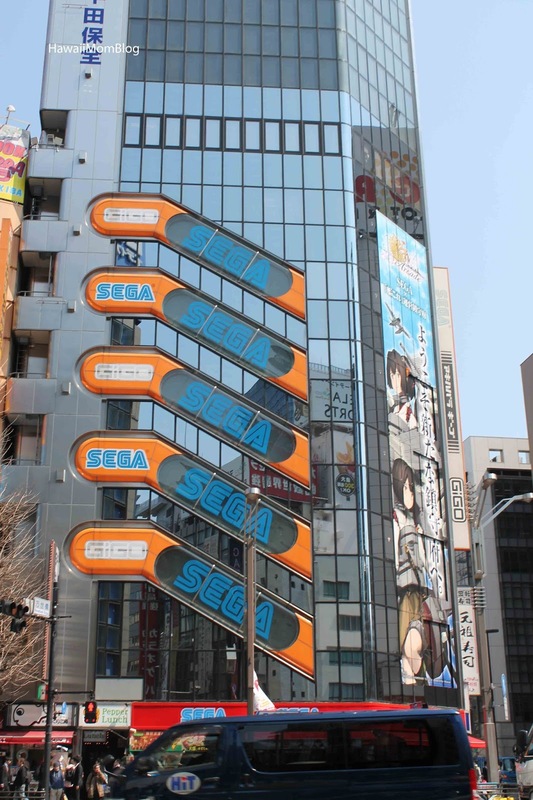 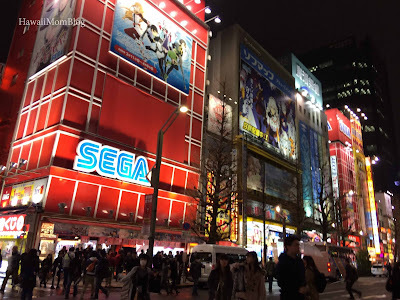 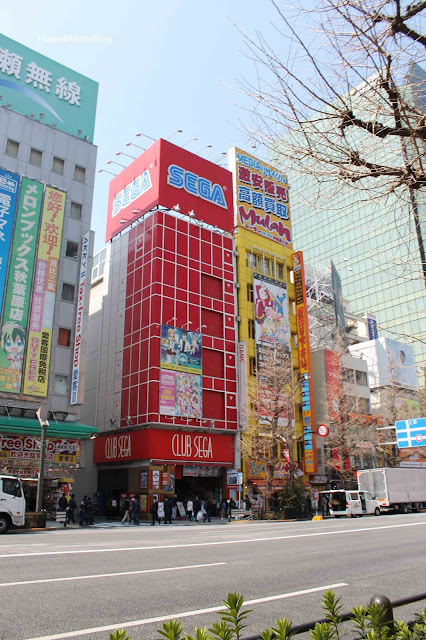 Akihabara, aka "Electric Town," is home to numerous electronic stores and arcades. 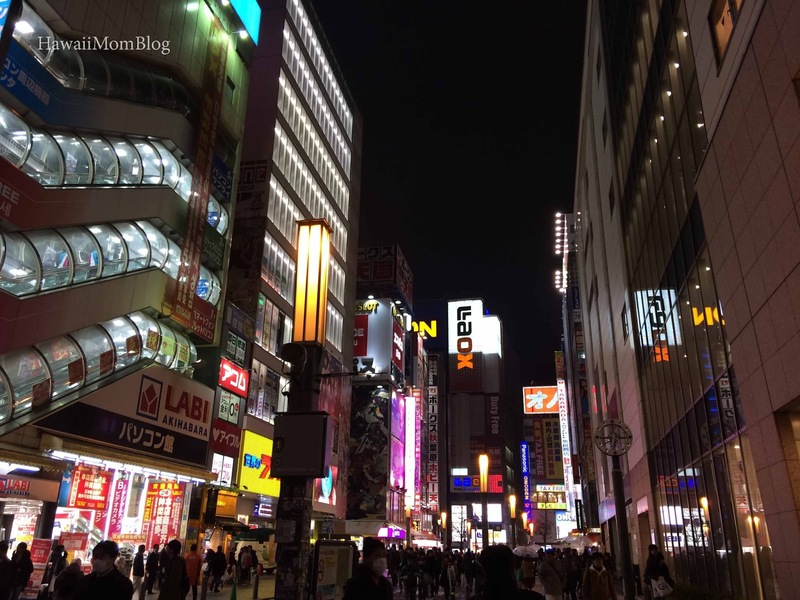 We visited the area a few times to shop at Super Potato and eat at Gundam Cafe. We went once during the day, but at night it's just so much more fun to visit! 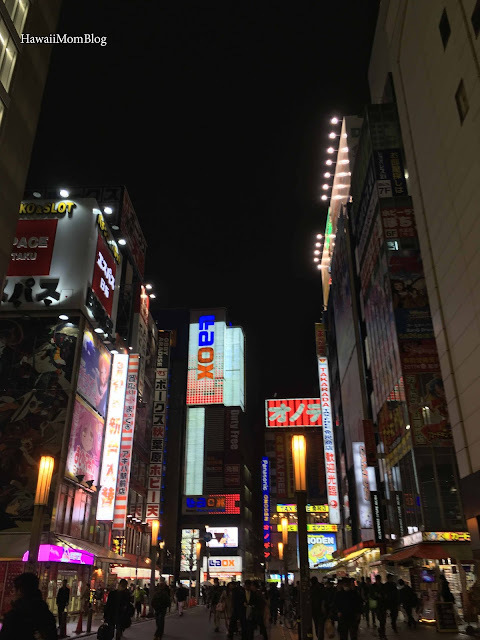 One thing that we experienced a lot in Akihabara during this trip that we didn't experience the first time we went to Tokyo was the prevalence of people passing out flyers for Maid Cafes. Despite that, Akihabara was still a fun place to visit!